Authorities have indicted 12 police officers over the sale of 1,004 AK-47 assault weapons which were illegally sold to the New People’s Army (NPA) from 2001 to 2013. Chief Supt. Raul Petrasanta, a close friend of President Aquino and touted as the Philippine’s next “top cop” is one of the police officials in the formal indictment. The Office of the Ombudsman said the indictment included Petrasanta, six former police officials, five active police officials and three others. All are charged with fraud in connection with the missing AK-47s that ended up in the hands of NPA rebels in Mindanao. The rifles are said to be worth 52 million pesos with the sale assisted by unwitting Philippine National Police officials. Named in the indictment were PNP Directors Gile Meneses , Napoleon Estilles, former Chief Superintendents Tomas Rontoy III, Regino Catiis and former Senior Superintendents Eduardo Acierto and Allan Perreno. The list also includes Supt. Nelson Bautista, Chief Inspectors Ricardo Zapata Jr., Ricky Sumalde, Senior Police Officers Eric Tan, Randy de Sesto and Civilian Employees Nora Pirote and Sol Bargan. The Ombudgsman’s also charged a private civilian in the case – Isidro Lozada, owner of Caraga Security Agency will also be charged with fraud involving the sale of the assault rifles. Caraga was also part of a campaign to issue illegal gun permits with and expired licence to operate. In June, the antigraft body ordered the dismissal from the government service of Petrasanta, then PNP Director General Alan Purisima and several other police officers for awarding a 100-million peso service contract to a start-up courier company for the delivery of gun licences. Numerous others were also named in the original case but lack of evidence caused the Ombudsman to clear their names. The AK-47s were announced missing in December of 2013 by President Aquino. The announcement prompted the PNP Criminal Investigation and Detection Group to conduct a lengthy in-depth investigation into the disappearance of the assault rifles. 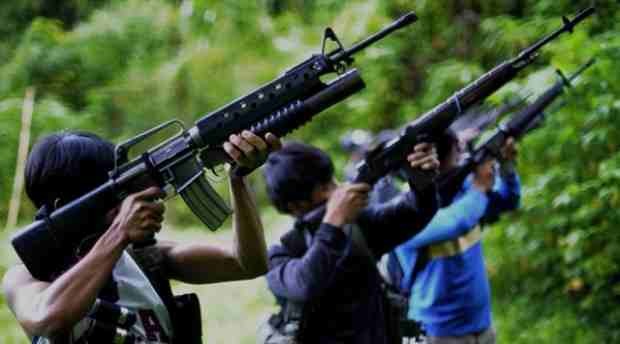 The rifles are said to have been sold by Lozada to NPA rebels in Mindanao for 52,000 pesos each over a two-year period.